Lets go back in to the moment 25 of December 2013 when the great and soon proved to be painful decision was taken. It went like this : I have a Norwegian friend. In order for us to be friends I have to pour huge quantities of alcohol in him as everybody knows how difficult Norwegians are, right ? 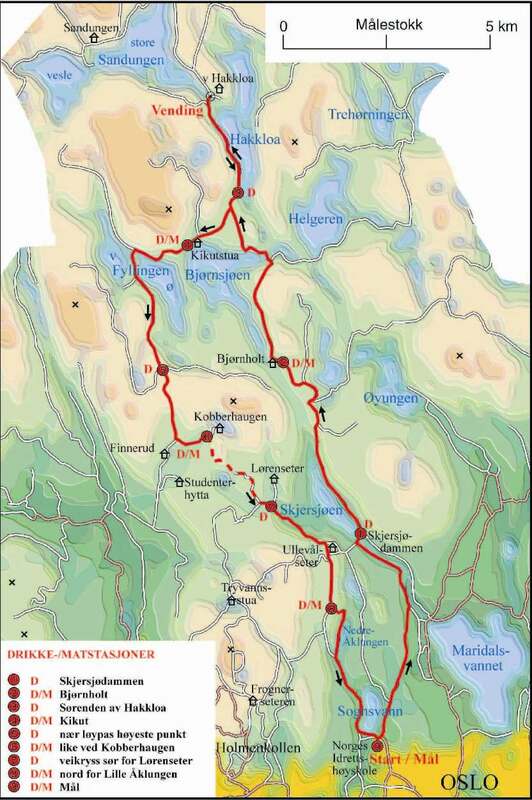 After millions of liters of beer and other Dionysiac liquors I showed him the Nordmarka Skogsmaraton website. I have expressed my feelings about the marathon thinking that maybe in 1 or 2 years I will be able to run it. Considering that in November was first time I have ever managed to run 10 k connected without dying I thought I take it easy and the marathon should have been preceded by a half marathon at least. Decision made I got home after Christmas, celebrated New Year and on 4th of January I started running.If you know anything about Norway you might understand that January is not really the nicest period in the year to start running. Not at all. I had to promise to myself things( usually alcohol related) to go out and run. Had always discussion, arguments even, with myself about the reason we are doing what we are doing. So I ran twice a week all trough January, February, March and if I remember properly in April I got a bit injured. Nothing serious but held me of the road for about 2 weeks. So there was were the training plan went to the toilet. Lucky me I met the SkiLøperne people and they gave me boost in my training. I had to struggle so much to keep up with them . I remember in one of the first runs with them I almost threw up because of the effort. So til April my training ment : twice a week running and once gym. In the running I started with 5 k and increased gradually till I arrived to 22 k. So I would do this week 5 and 10 , next week 7 and 10, the third week 7 and 12 and so on till 22. In the gym I focused on stamina, core strength and legs. After April my training went to twice a week running with SkiLøperne and SkiJoggerne, maybe an extra run on my own and no more gym. I never really liked gym and was quite easy to give up to it. All month of May I also had a 5 k every day, on top of the 2 runs. The dog needed exercise. I gave him exercise ! June was more relaxed and no more big training s0 by 21 June I knew for sure I can run 30 k and I can do a half marathon in less than 2 h in ideal conditions. 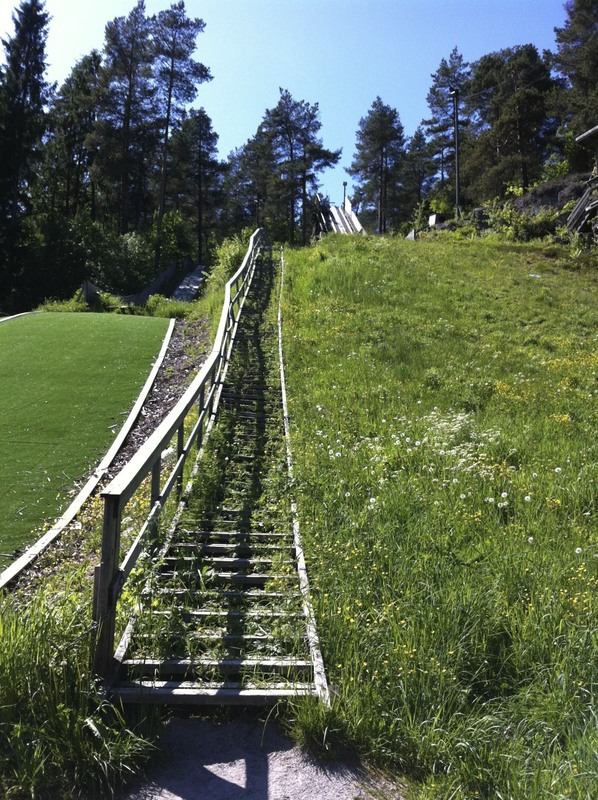 In may I had one training session that I called it ” Intervals à la Rambo”/” Stairway to Hell”/Suicide attempt”. In the back of my house I have a ski trampoline. Medium size I say. This trampoline has … stairs. You got the idea, right ? I am not sure what is the elevation and I also can´t quite remember how many time I ran up and down that thing. What I do remember is this : I did this Thursday. First time that I managed to move like a normal human being was Sunday evening. And there we go again to my favorite subject : pain. My training meant workout, pain, run pain, recovery, run again pain again and that for 6 months. I do think that deep down I am some sort of masochist and I haven´t figure it out yet. However , the 6 months of pain worth. I had bigger pain after some training sessions than I have now after doing the real thing. But let´s take it easy as I still have to tell you how the marathon itself went before I arrive to the post marathon period ! So … see you later ! Next Next post: 21 of June 2014 ! Nordmarka Skogsmaraton ! Pingback: My Norwegian Friend ! | A marathon runner !